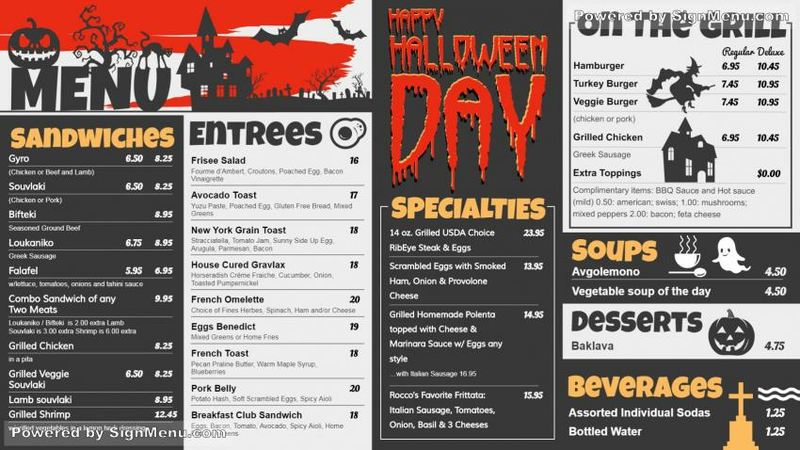 A very sophisticated and colorful Halloween menu board. The white and black colors are brilliantly used to delineate the delicious menu. And the red lettering, shades and graphics lend the right mood and flavor of the occasion. On a digital screen this template is a steal !